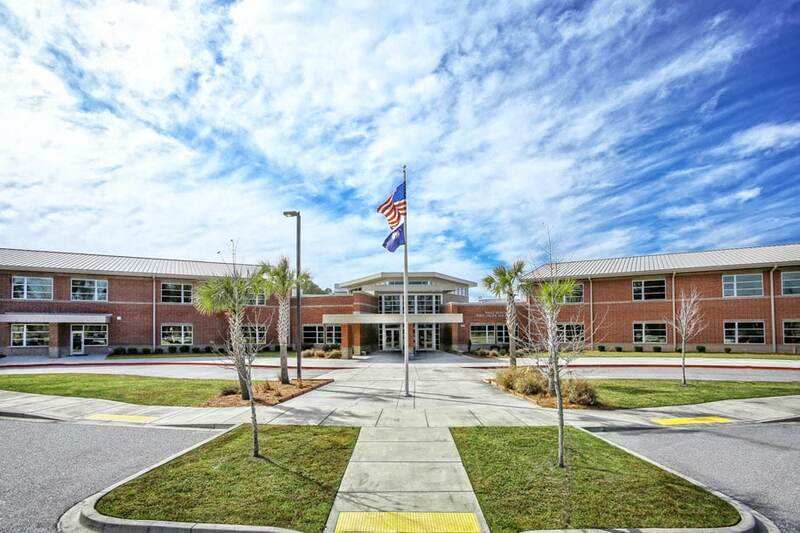 Hussey Gay Bell provided architectural, interior, and structural engineering design services for this project which consisted of the design and construction of this new, 180,000 SF early college high school on 65 acres in the north area of Beaufort County, South Carolina. 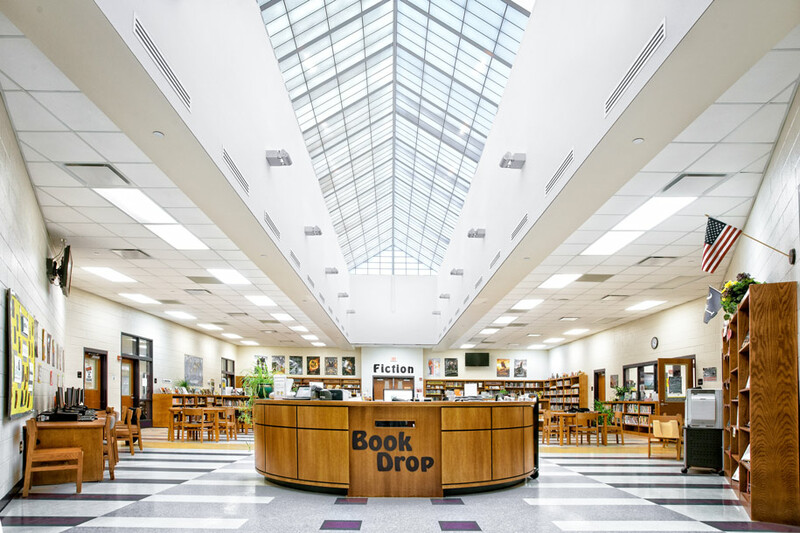 Designed to house approximately 1,000 students in grades 9-12 with the capability of expanding to 1,500 students, the high school serves students in the northernmost portions of Beaufort County, including the unincorporated communities of Dale, Lobeco, Seabrook, and Sheldon. 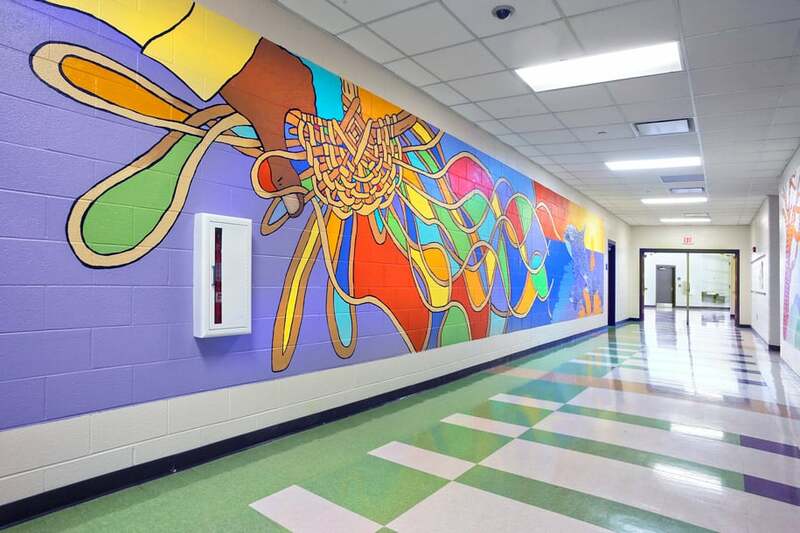 In addition, the school partners with the nearby Technical College of the Lowcountry, enabling students to earn concurrent college credit for several courses while obtaining their high school diploma. Opened in 2010, the school building consists of a steel frame with precast concrete panels and masonry for exterior walls; interior walls consisting of a combination of CMU masonry and metal studs with high impact gypsum board; and a roof system consisting of bar and joist and steel deck with a built-up roof system. The site itself provides four (4) separate parking facilities for visitors, staff and students. 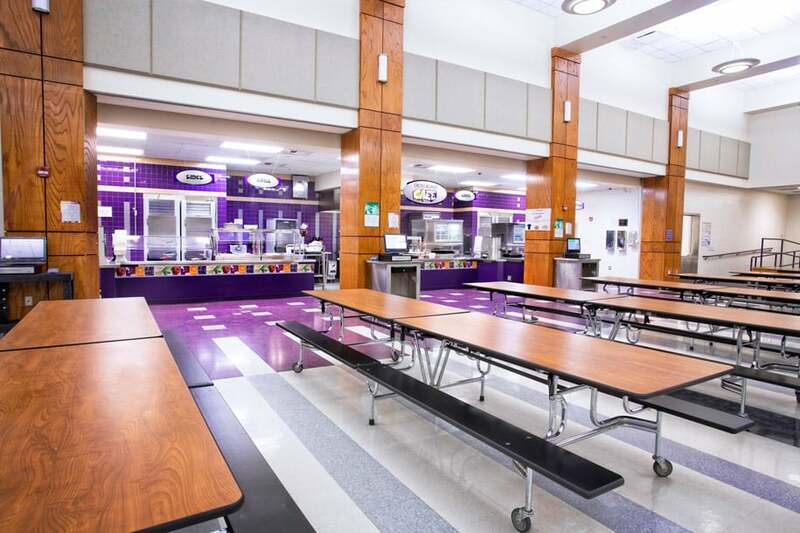 Athletic fields include a soccer field, track, practice fields, a football field and stadium, softball field, baseball field, tennis courts and a field house / concessions building. 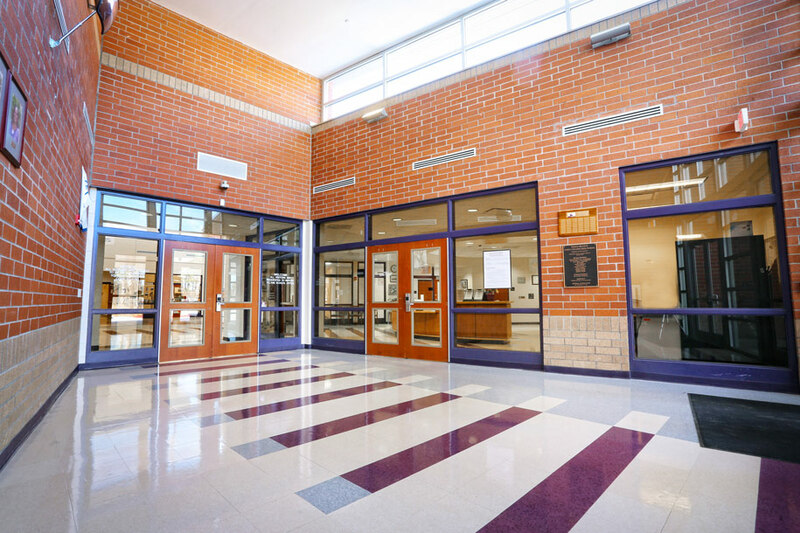 Hussey Gay Bell provided services for the design of this 180,000 SF early college high school on 65 acres. 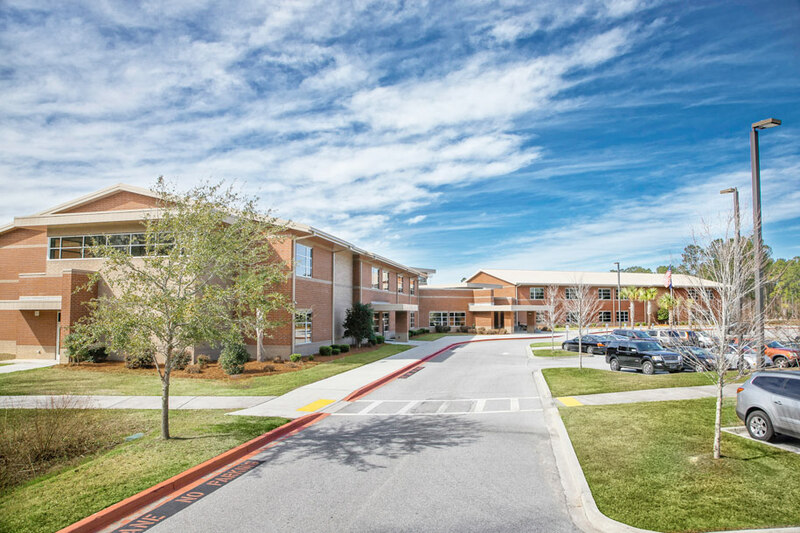 The school houses approximately 1,000 students in grades 9-12 and partners with the nearby Technical College of the Lowcountry to enabling students to earn concurrent college credit for several courses.